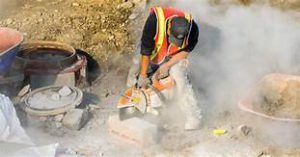 OSHA recently changed their exposure limits on silica dust exposure. Now testing in environments were silica overexposure is a risk is more important than ever to avoid citations and penalties. The exposure limits have been cut by 50% OSHA putting companies that don’t consistently to silica exposure testing at risk for incurring unnecessary operating costs in the form of fines. Recommendations that when followed precisely, can reduce the likelihood of fines for non-compliance. Recurring site inspections can keep you on track. Employee or safety manager training. Customized training plans so you can train your own employees. Speaking engagements and presentations to educate your employees on the importance of compliance.